Hi!!! I’m back! It’s 1 week into semester 2 and I can’t say I miss break?! Anyways, despite starting new concepts and new projects (read: research), the first week has been pretty chill. Thus, we took the opportunity to go watch the new Star Wars and take a (down to earth) food adventure. 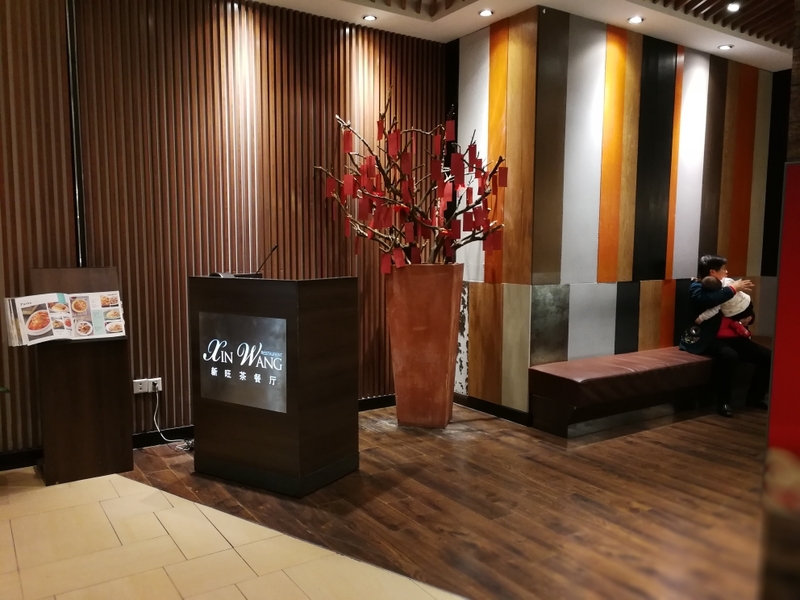 Xin Wang is a very popular Cantonese style “tea restaurant” in the Pudong Kerry. I’ve been there a couple of times and was extremely impressed with their dishes. 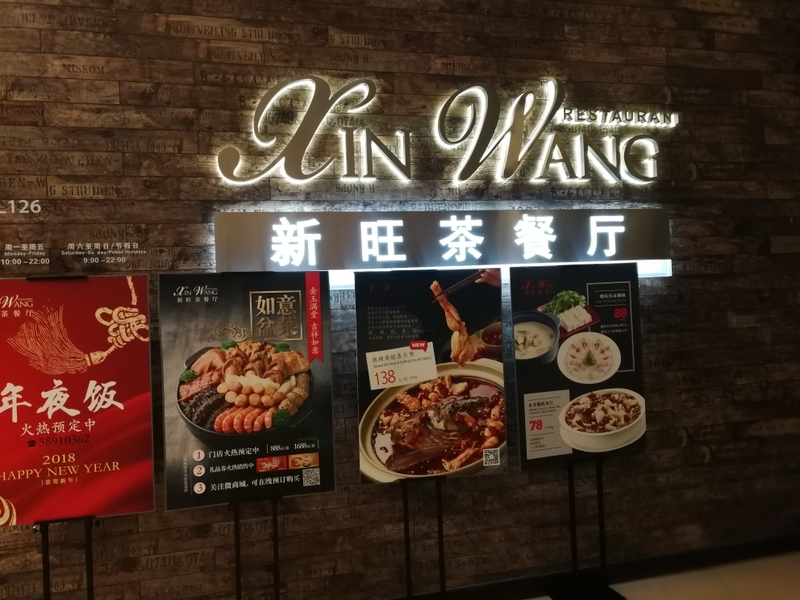 Their specialty is Cantonese roasts and Chinese style marinades which are all on point, but the variety is pretty impressive. 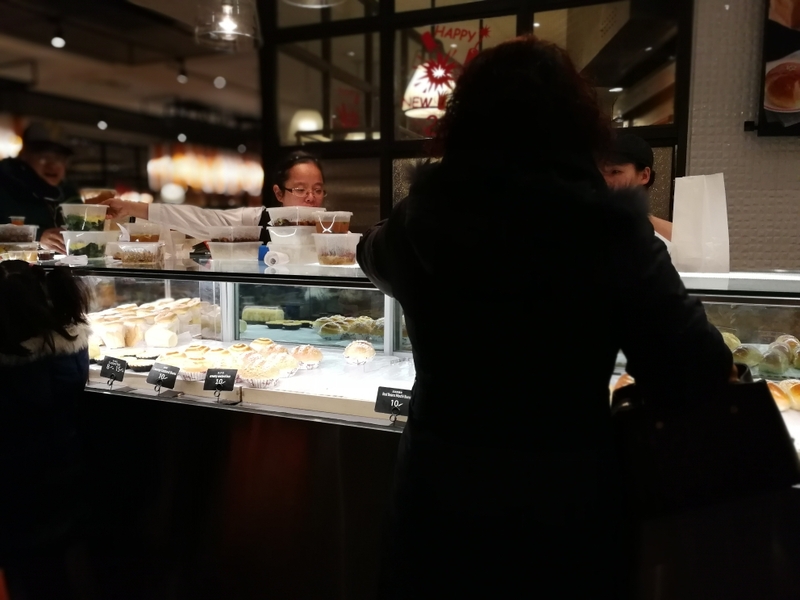 Among other dishes, the menu features customizable noodle soups, AMAZING braised beef shank, 5 types of congee, soups and Hong Kong bakery goods! 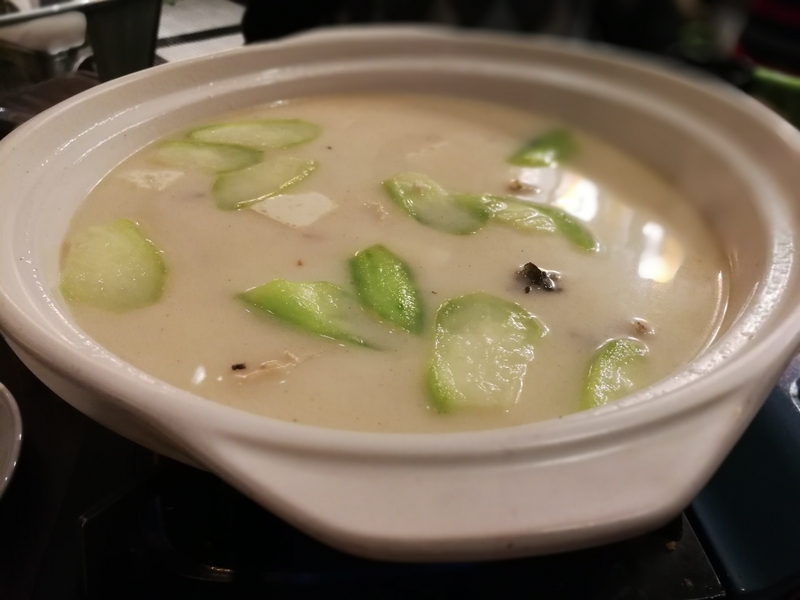 While the roasts, congee and noodles are great, a newer item caught my eye: Crispy carp hot pot. Typically, hot pots broths are beef, chicken or pork based, so as a fish lover, I was super excited to try a fish broth. Plus, the picture promised rich white broth and thin- sliced fresh fish. I must say, the dish did not disappoint. First, the broth was just as white as the picture presented and so rich it was opaque!. Although rich, it didn’t feel greasy or linger on the palate. Even better, they didn’t skimp on the “crispy carp” part. Sure, the carp wasn’t crispy, but it was borderline gelatinous yet tender and really soaked the broth. 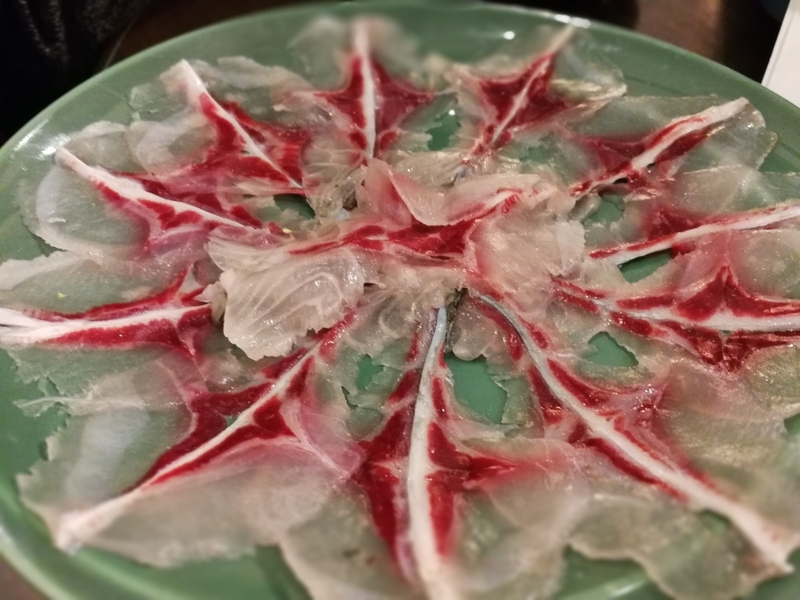 The actual fish you cook in the hot pot was so fresh and thinly sliced that it was literally transparent. Amazingness through and through. My only complaint would be that fish doesn’t really soak up the broth’s flavor like meat or veggies do, so some may find it a bit bland. But…. that’s what dipping sauce is for. 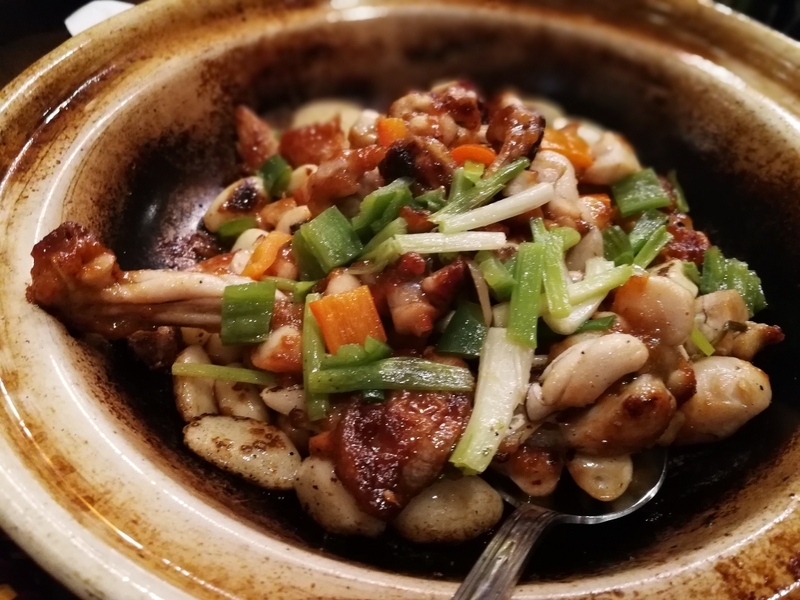 While fish hot pot was good, my dad isn’t a seafood person, so we got another one of their specialties: Spicy Garlic Bull frog casserole. Basically, they wok fry plump, meaty bull frog legs, throw in a few cloves of garlic and spices, add broth for good measure then let it stew until the meat is stupid tender. What does bullfrog taste like?….. Chicken, except with a much smoother mouthfeel. I usually avoid these greasy dishes but I was very impressed with this one. The meat, although stewed, retained a fragrant, char. Best of all, the garlic brought a strong, aromatic, but not overwhelming taste. To be honest, the slightly charred hunks of garlic were my favorite. However, the “spicy” part is a misnomer. It was mild at best. Xin Wang usually has a pretty gnarly wait. We were pleasantly surprised when there wasn’t one. That being said, the restaurant was very lively. Families were chattering; the wait staff was rushing around and general hoopla- a proper Chinese restaurant. The bright light and simple decour further created a comfortable, casual atmosphere. Service was also pretty good. Although the restaurant was packed, our food came within 20 minutes and the wait staff were courteous and attentive. 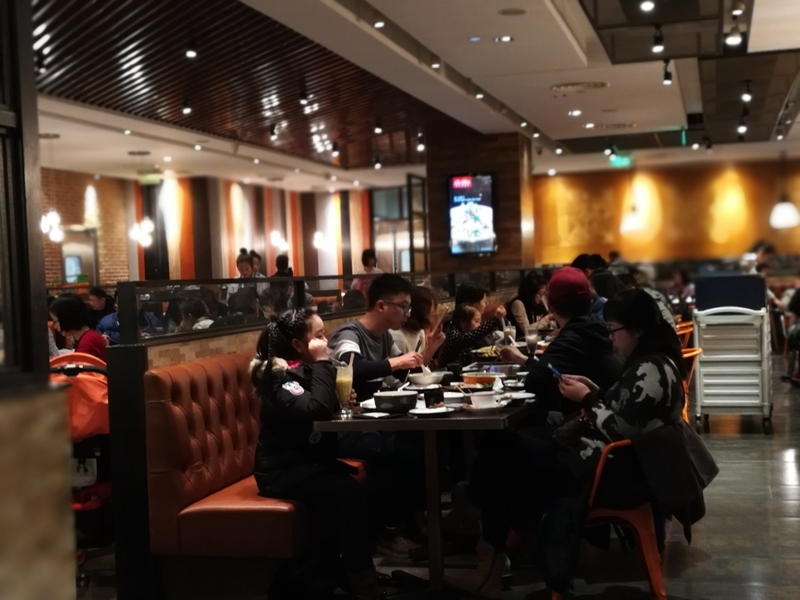 Overall, Xin Wang is a solid restaurant for a quick business lunch or small causal gathering. The new menu definitely did not disappoint one bit and I’ll be back to share some of their other classics! Well, that’s it for this week! I hope everyone’s making progress towards their resolutions and enjoys some great food in the new year!